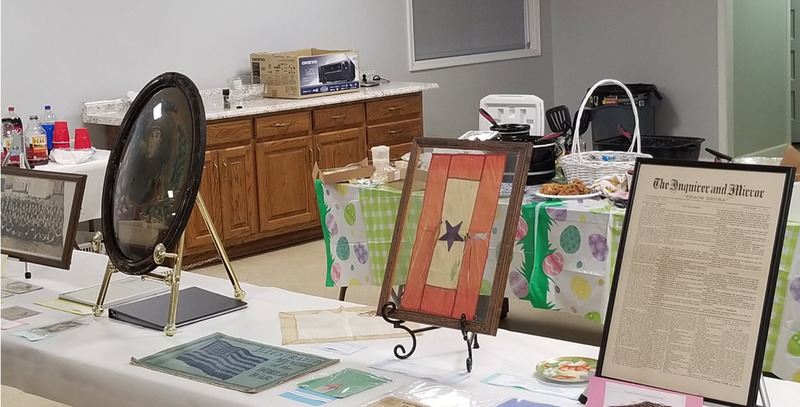 each month at 6:30 at the Carrollton Ruritan Club. to be remembered by his descendants!" the true history of the South is presented to future generations." (with a special ending that brings in the Confederacy)". College of Physicians and Surgeons, later the University College of Medicine, was established by Dr. Hunter Holmes McGuire just three blocks away from Medical College of Virginia. Dr. Stuart McGuire had also served in the WBTS as Gen. Stonewall Jackson's personal surgeon. 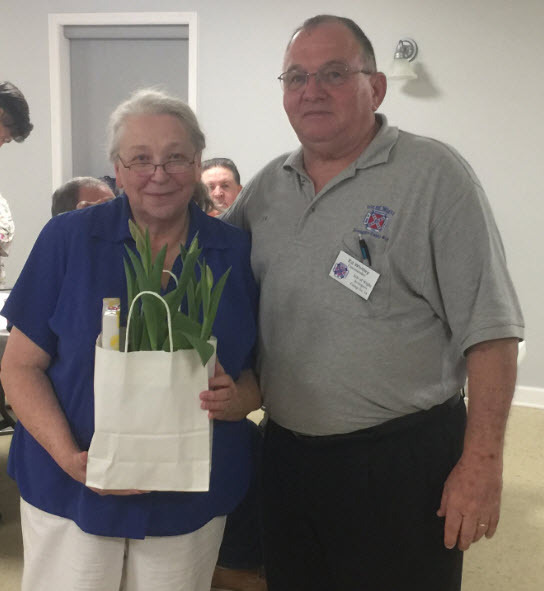 Commander Ed Whitley thanked Billie for her presentation. 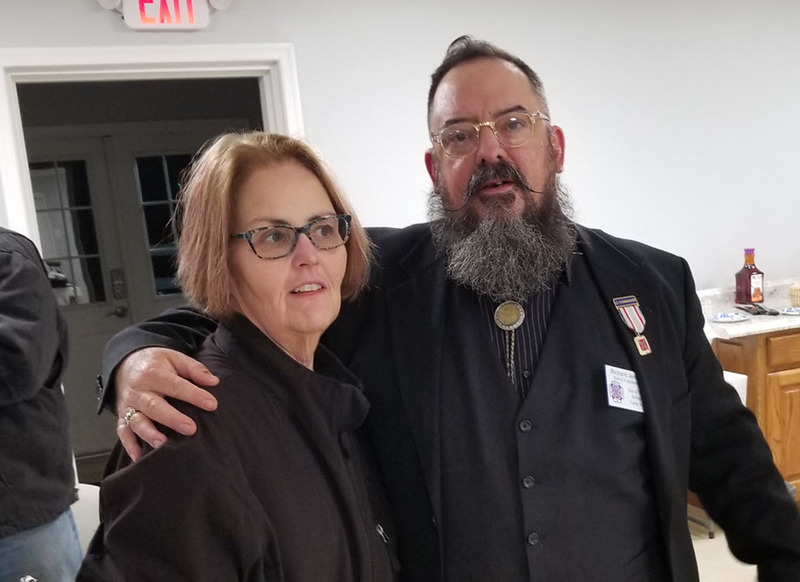 Compatriot Richard Perkins of t he Robert E. Lee Camp #1589 spoke to the Avengers about Fire and Brimstone: The Burning of Richmond, April 2-3, 1865. He gave a very interesting presentation using his laptop and television monitor. 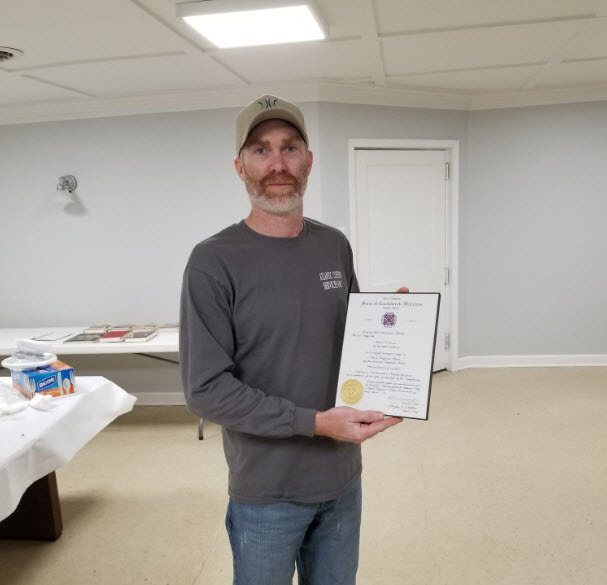 Compatriot Trent Butler received his membership certificate! 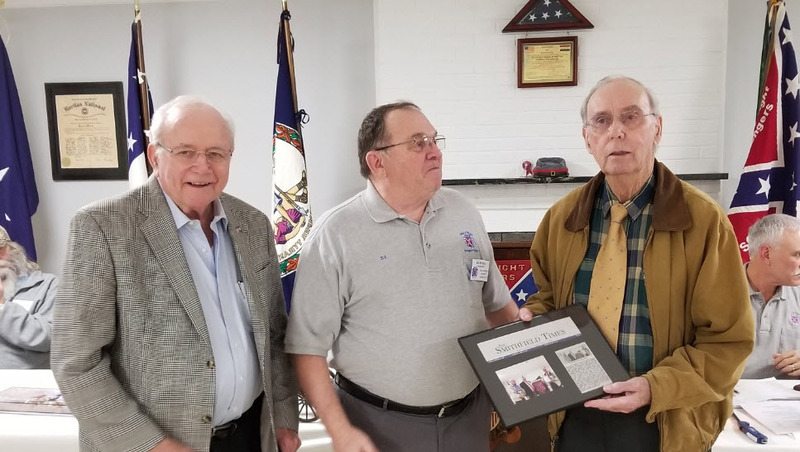 Commander Ed Whitley presented Frank and Earl Hall with a framed newspaper article from last month's meeting when they received Real Grandsons medals and certificates. Adjutant Tony Griffin presented Commander Ed Whitley with his Dixie Club Certificate for recruiting. 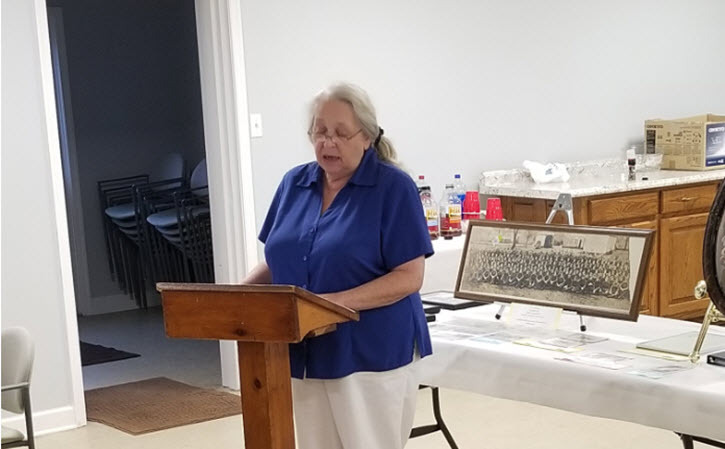 February 12, 2019: The Camp had a nice turnout to honor the life of Private Mills Edward Britt. 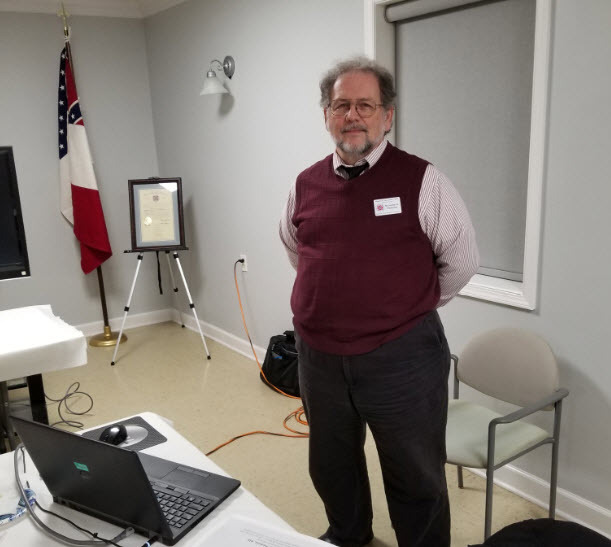 Dale Nichols, a local author, spoke to the Camp on his latest book, "HURRAH for Georgia", the story of the 38th Georgia Volunteer Infantry Regiment. 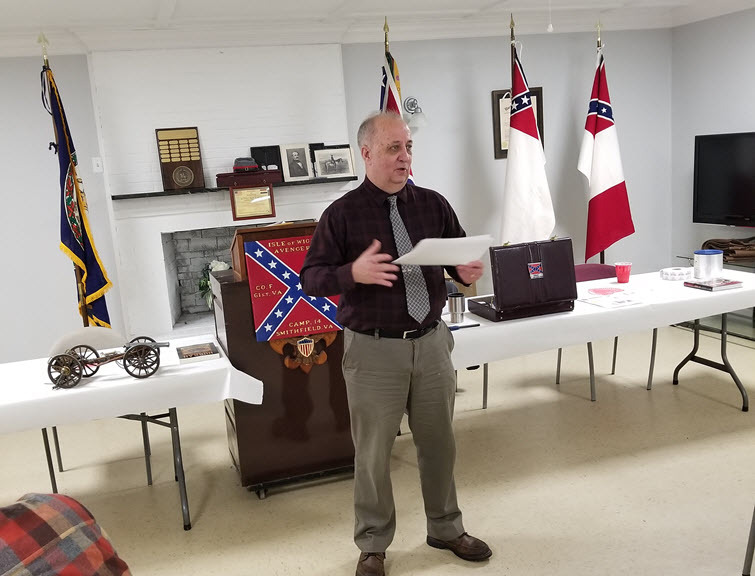 Dale Nichols has many ancestors who served in the War of Aggression including his GGG Grandfather who served in the 38th Georgia Volunteer Infantry. Commander Ed Whitley spoke to the Camp's membership about the life and military career of Mills E. Britt. He enlisted in the 7th Bn., Co. F, 61st Virginia Infantry in 1861 at Beaver Dam, Isle of Wight. Mills Britt to REAL GRANDSONS compatriots Frank Hall and Earl Hall. Our Camp is honored to have such fine gentlemen in our Camp carrying on the legacy of their grandfather. Cdr. Ed Whitley then presented Compatriots Frank & Earl Hall with National SCV Certificates to recognize them as REAL GRANDSONS. Commander Ed Whitley was so happy and proud to present REAL GRANDSON medals to brothers Frank and Earl Hall! The Sons of Confederate Veterans is all about honoring our ancestors. 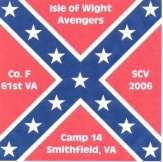 The Avengers Camp did exactly that this evening by remembering Private Mills Edward Britt and two of his grandsons! 2nd Lt. Cdr. Richard Jenkins and his wife, Connie, were happy to announce their 37th wedding anniversary. Reed Lundy and Matt Abbott visited the Avengers Camp. Welcome! 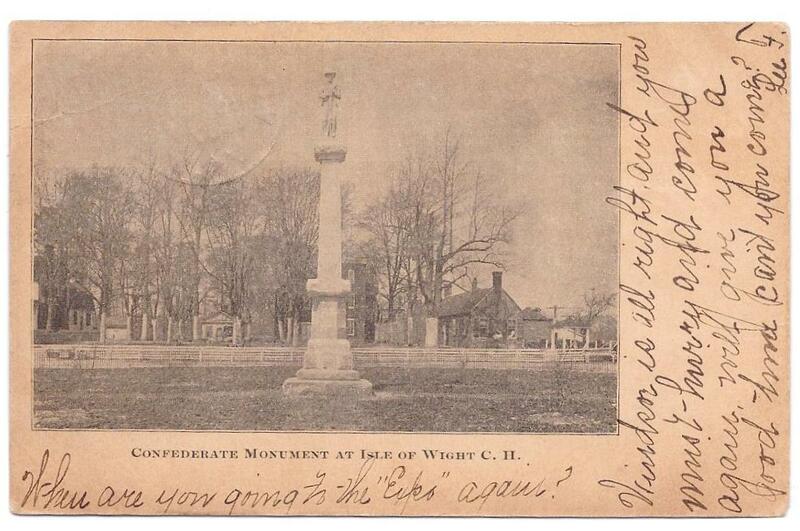 This post card is by courtesy of Commander John A. Sharrett, III of the Stonewall Camp #380. The post mark on the back is dated June 21, 1907. Treasurer - William J. "Bill" Graham, III 6th Brigade - W.A. 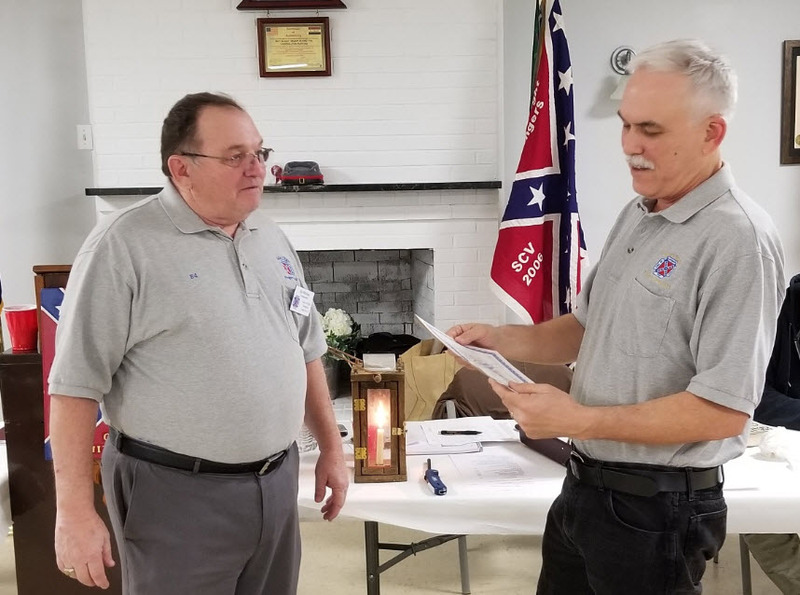 (Bill) Dennison, Jr.
Our monthly meetings are usually on the 2nd Tuesday of each month, but meeting dates may change due to holidays or extreme weather conditions at the discretion of the Commander.. We also do not meet in July or August because so many of our members like to take summer vacations. at the Carrollton Ruritan club house. April 13 Uzzell's Methodist Church RAIN POSTPONEMENT FUTURE DATE TBA. C-I-C Paul C. Gramling, Jr.
cause for which it stands. Amen.